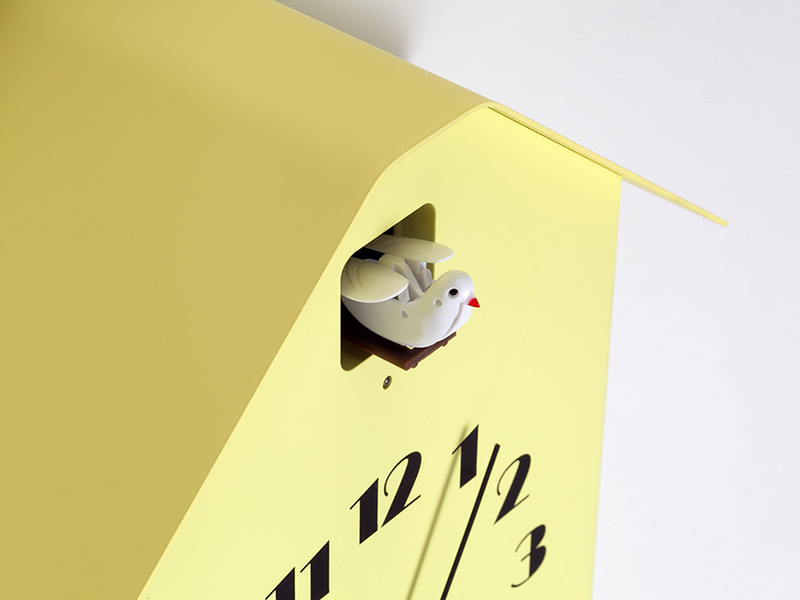 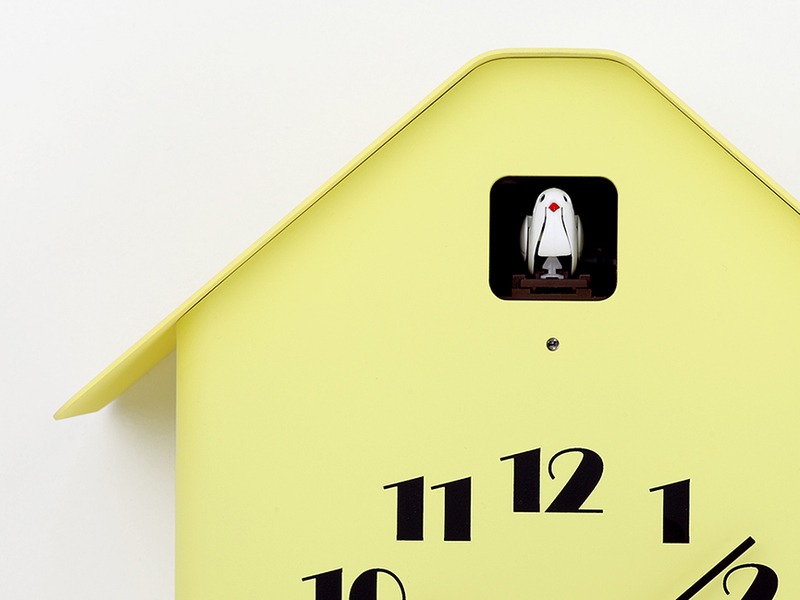 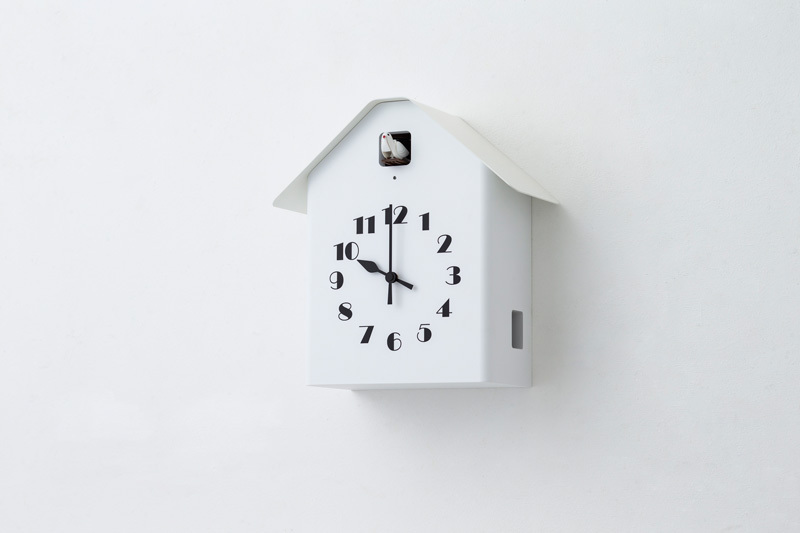 Dachs Cuckoo is a playful cuckoo clock with a roof that resembles the ears of a dachshund. 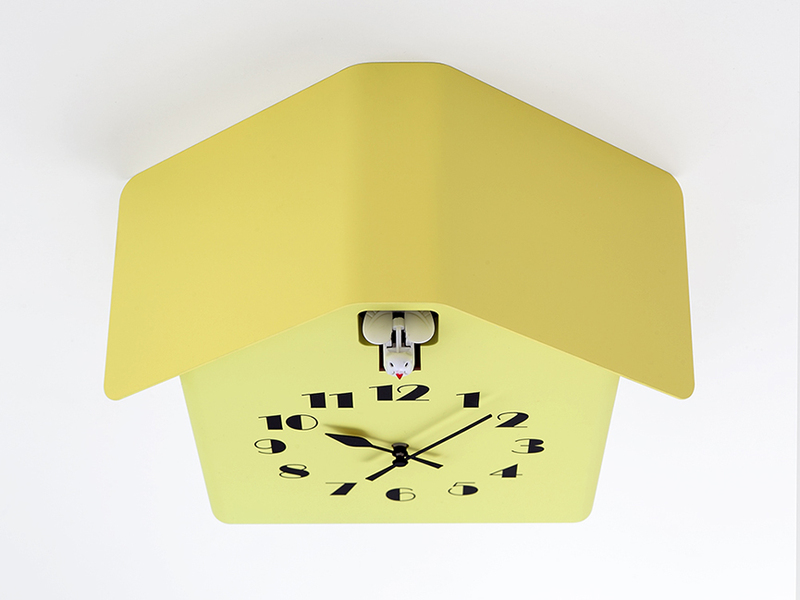 This roof made of thin metal sheet gives a light touch and demonstrates a modern feel with its outline tracing the window frame. 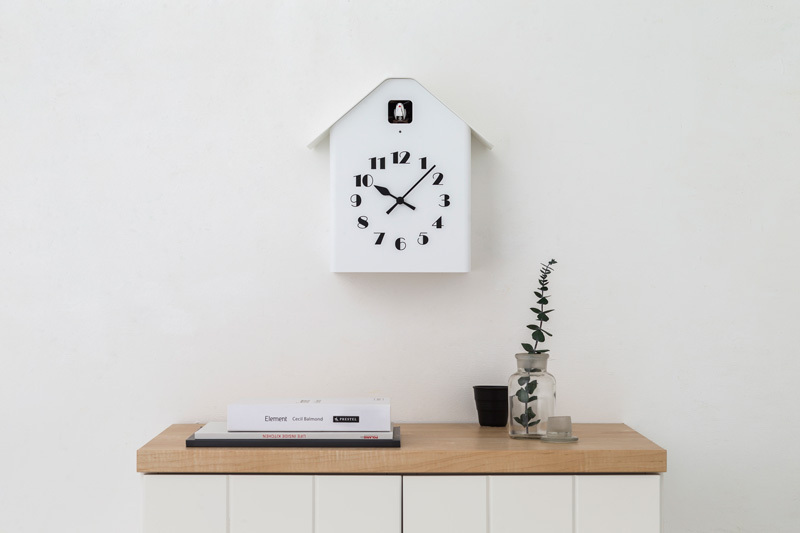 The numbers on the clock highlight the Dachs Cuckoo and the font used is a version of Broadway arranged to fit the outline of its face. 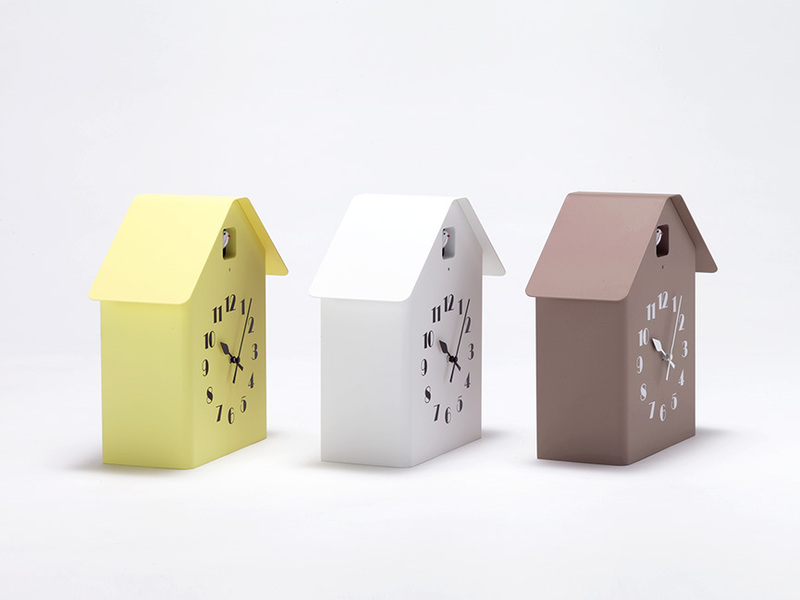 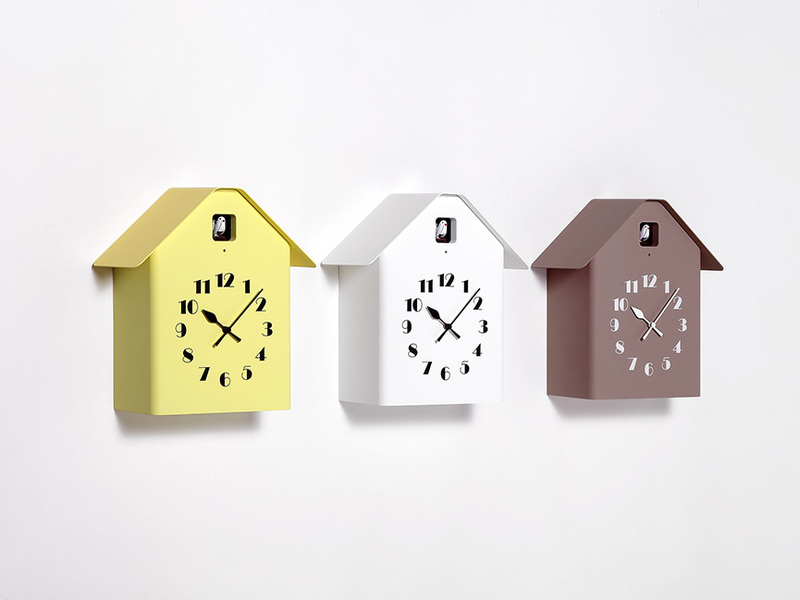 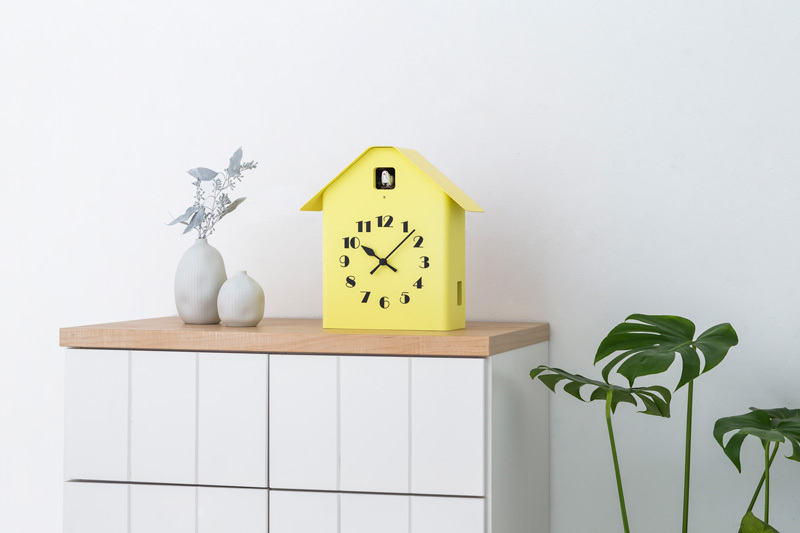 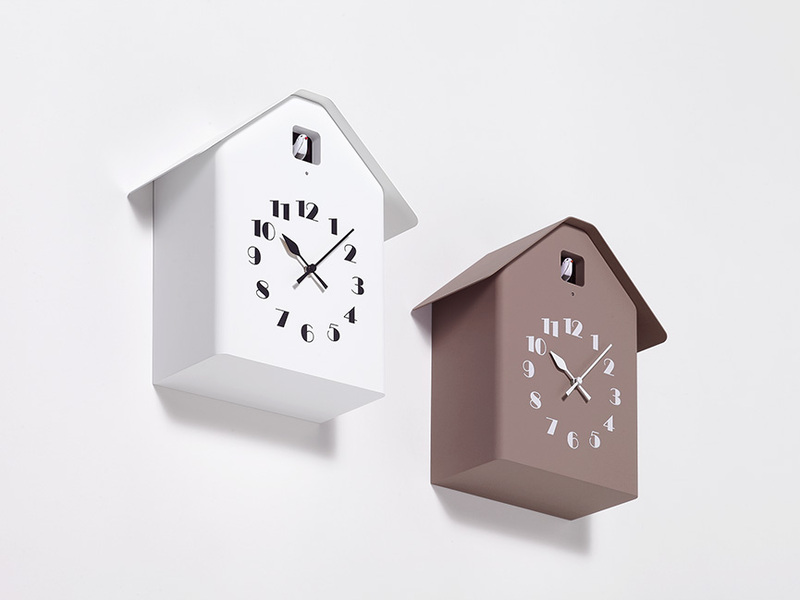 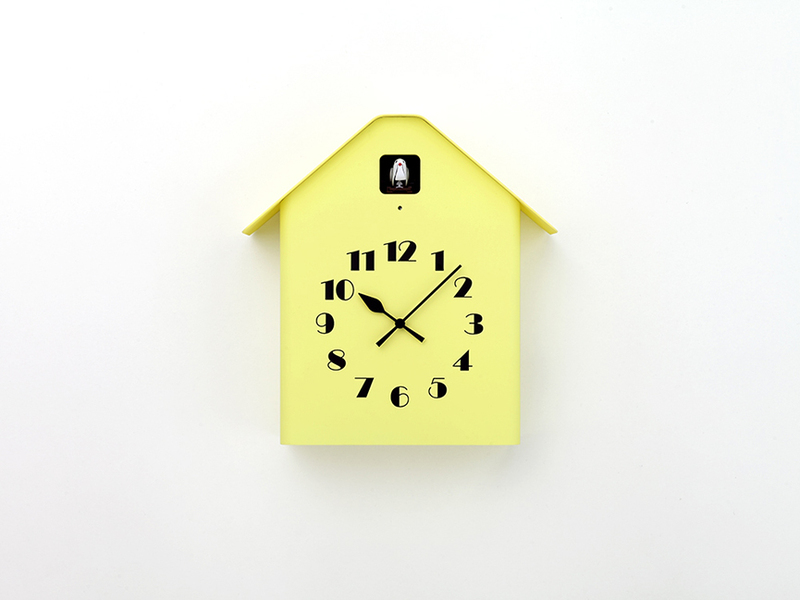 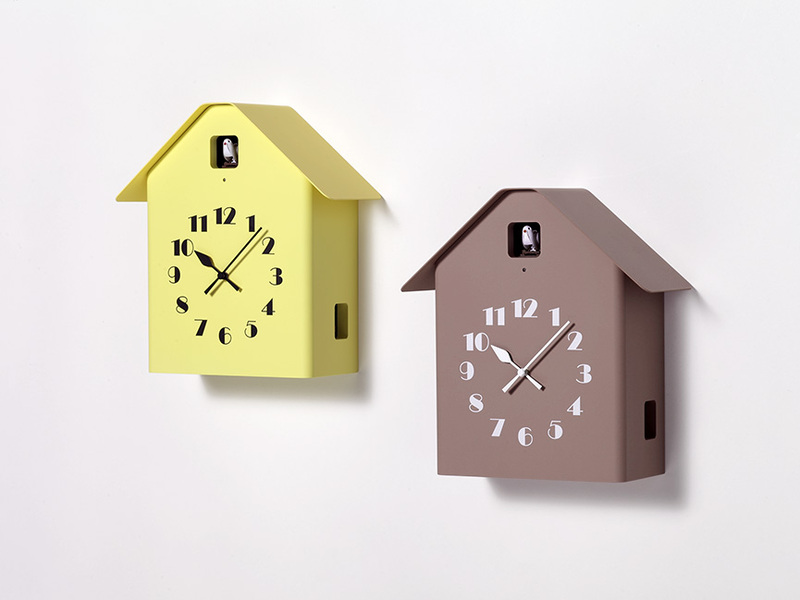 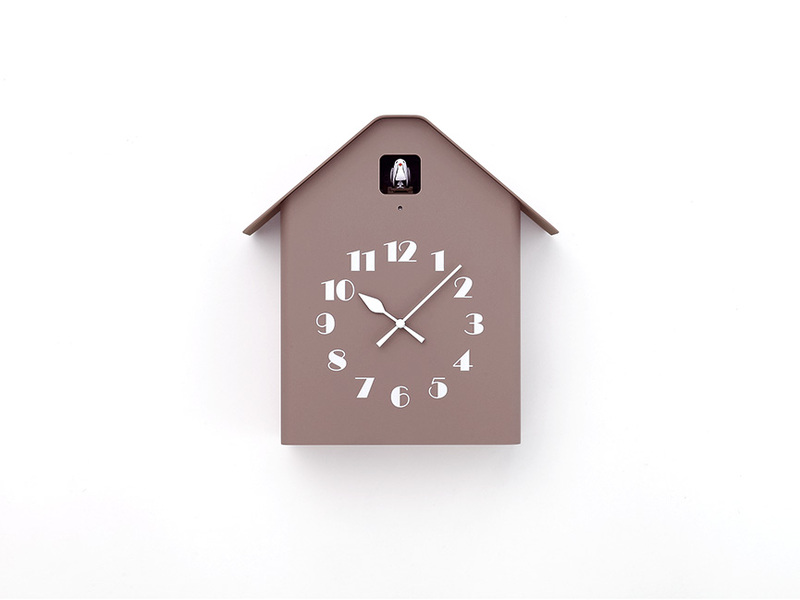 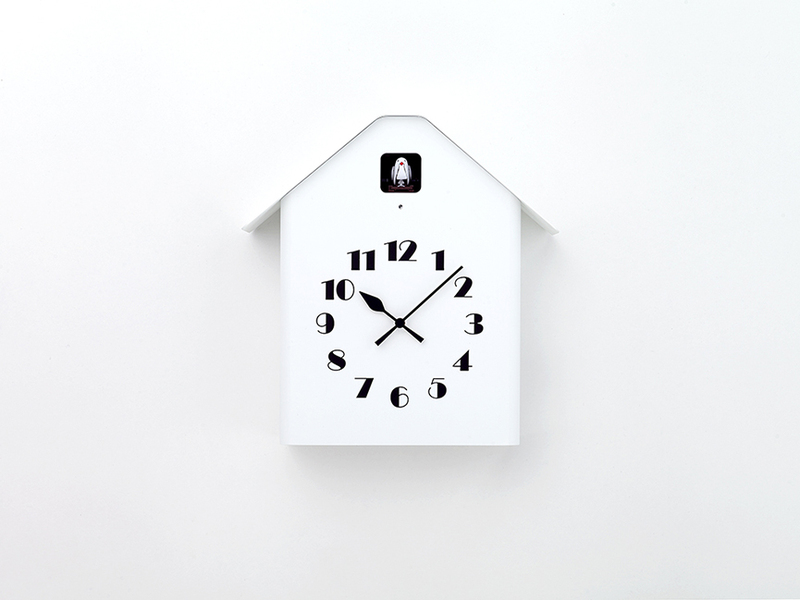 This clock is available in three wonderful colors. 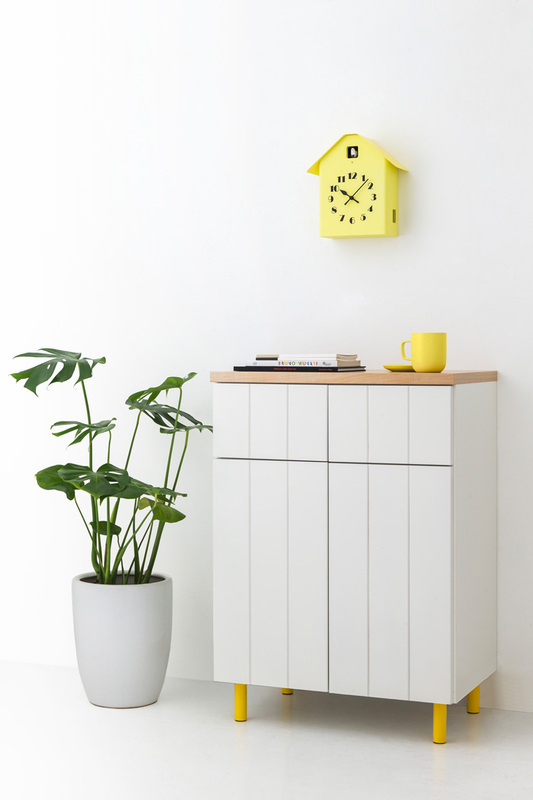 The brown goes well with natural items such as plants and wood furnishings, and the white one blends well into the background while yellow one adds an accent to the atmosphere. 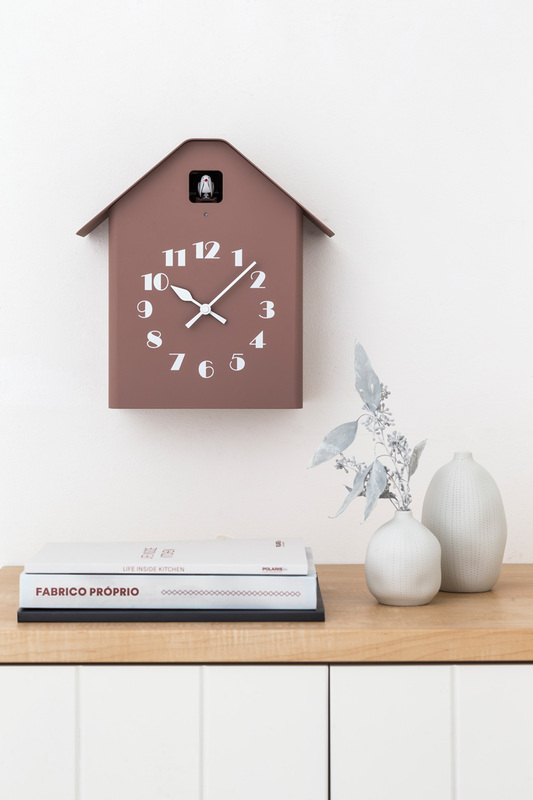 The basic structure coupled with unique details featured in this clock brings out the best of the cuckoo clock.